Car Service Airport West CAR Repair Mechanics - EASY MOTORS - CALL for Auto Service Mechanics, Car Repair Mechanic, Auto Repair Service | Melbourne, Victoria, Australia. EASY MOTORS offers a complete range of car servicing options, designed to suit. In every case, you'll know in advance exactly how much the service will cost. If additional work is required you'll be notified and no extra work will be commenced without approval. This is performed using a diagnostic oscilloscope / tune scope to check and adjust the engine and the fuel ignition systems to ensure peak performance, reliability and fuel economy. A compression/balance test will be performed and results recorded on the invoice. The battery, starting and charging system will be checked together with belts, under bonnet fluid levels and the air and fuel filters. Finally a road test will be performed to check for any other possible problems and to ensure all the work performed was satisfactory. 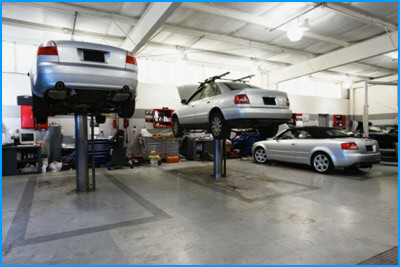 Many people believe their car must be serviced by the dealer. ‘NOT TRUE!’ At EASY MOTORS , we can service your new car. EASY MOTORS car mechanics in Airport West repair all types of Brake Problems. We replace Brake Pads & Disc Rotors as well as Brake Shoes and Drums, Wheel Cylinders, Master Cylinder, Brake Lines or Hose and Brake Calipers and repair or adjust the handbrake. We also can diagnose and repair ABS (Anti-Lock Braking System) problems. Whether your brakes are grinding, squeeling, vibrating, pulling to one side, has a low brake pedal, handbrake coming up high or simply worn out, EASY MOTORS is there to help. Brake Pads, Disc Rotors, Wheel Bearing, Brake Shoes, Brake Drums, Wheel Cylinders, Master Cylinder, Brake Caliper and Brake Line/Hose. If a brake pad has below minimum material on it we can replace. If the disc brake rotor surface is not true, we will measure the disc brake rotor thickness - if it is enough above minimum specification we will machine the disc rotors. If it is equal or below minimum specs we will replace the rotors with new ones. If Brake Calipers are worn or sticky or you are having uneven wear on the brakes we can also overhaul or replace the Brake Caliper if needed. Once all parts are fitted we will bleed the brake system and make sure the brake fluid is at the correct level.